Jackson bed and breakfast travel guide for romantic, historic and adventure b&b's. 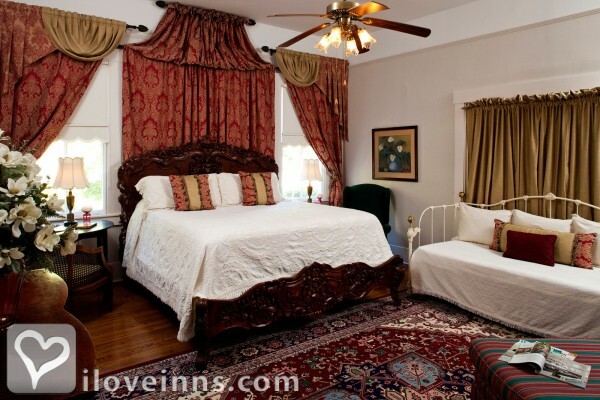 Browse through the iLoveInns.com database of Jackson, Mississippi bed and breakfasts and country inns to find detailed listings that include room rates, special deals and area activities. You can click on the 'check rates and availability' button to contact the innkeeper. Why do they call us the City with Soul? Well, for one thing, the people here are just about the friendliest you'll ever meet. And there are so many fun things to do in Jackson, Mississippi's largest city. So many family-friendly places to discover in the metro area -- not to mention a hundred events, from heritage festivals to antique shows and symphony concerts to sports classics. Open up a world of new adventures when you travel to the City of Jackson, Mississippi -- the State Capital. By Historic Fairview Inn & 1908 Provisions.